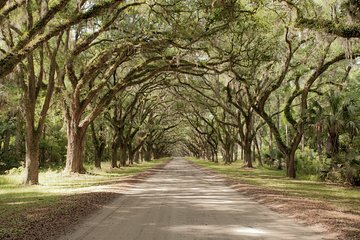 Take a break from the city to explore the natural landscape of Georgia on a half–day trip to the Isle of Hope, with a docent–led tour of Wormsloe Plantation. No need to plan logistics: Your guide navigates every stop on the afternoon’s itinerary for you, including a BBQ restaurant and cookie shop loved by locals. • Savannah Visitors Center - 301 Martin Luther King Blvd. • Savannah Historic District Hotels.